A woman’s menstrual cycle can facilitate pregnancy naturally, however, due to a number of factors like stress, genetics, ovulation disorders, infection, endometriosis, among others, a woman can experience trouble conceiving. 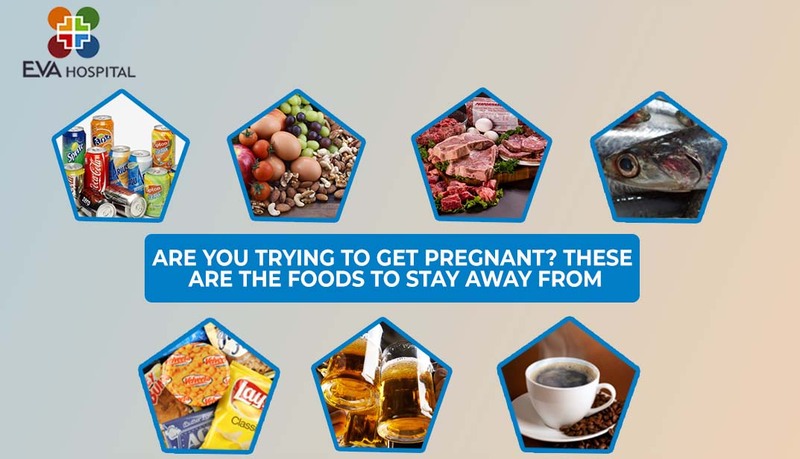 For every woman out there, whether affected by infertility or not, here are the foods that can prevent you from getting pregnant. They normally come with names like soft drinks, sports drinks or sugar-free drinks. Either way, these processed drinks can increase your blood sugar level. They are also known to be gut-bacteria-changing sweeteners and many of them are provided in BPA containers and other chemicals that may reduce your fertility chances. Fast foods, white rice, white bread, packed foods and drinks can increase your blood sugar levels, something that can cause inflammation, ovulation disorders and hormonal changes. It is quite important to eat foods that lower sugar levels pasta, whole-white bread in conjunction with fish, fiber in order to facilitate conception. Raw foods such as raw meat, fish, eggs, among others contain what is known as coliform bacteria. Apart from that, they also contain toxoplasmosis and salmonella that can affect the fetus ‘growing baby’ in case it passes through the placenta. Other options like properly cooked meat and fish are recommended. Latest studies indicate how a woman’s chance of conceiving is extremely affected by the mercury found in some fish types. Swordfish, King mackerel, bigeye tuna and tilefish are some of the fish types a woman must stay away from in case trying to conceive or pregnant. The mercury levels can reduce your chance of conceiving and also affect your fetus by creating a path for a number of medical conditions. Foods that contain trans fats include baked foods, chips and microwave popcorns. These foods are known to cause insulin resistance and inflammation that can lower fertility. Trans fats can also damage your blood vessels and reduce sperm count and quality in males. Although some women manage to get pregnant, excessive alcohol can reduce vitamin B levels that are necessary for improving your chances of conception. Excessive amounts of caffeine i.e. above 200 milligrams a day can affect your conception chances. Women who excessively consume caffeine always find trouble conceiving as it interferes with the body’s mechanism to absorb iron and can induce a miscarriage.